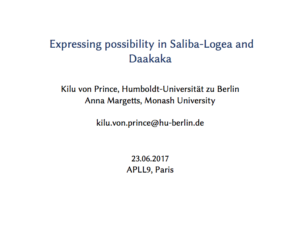 I just came back from an inspiring and informative trip to Saarbrücken. 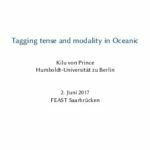 I gave a talk in the FEAST series about tagging tense, aspect, modality and polarity in Oceanic languages. Here are my slides for the talk.